Oak Rope Swing. A quality oak rope swing comprising of wooden seat and 5 metres of our synthetic hemp rope. Our Garden rope swings are great fun and an excellent reason to get outdoors during the Summer and Autumn. The seat is manufactured from solid oak.The natural looking, synthetic rope blends effortlessly into any garden environment. 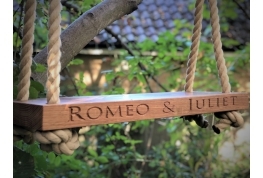 Each swing can be engraved with upto 30 characters which make them great as wedding gifts, Christening presents and any occasion that has a memorable date attached to it. Oak Garden Rope Swing. Our oak swings are made locally from solid oak. As standard we supply each swing with 2 x 5 metre lengths of our Synthetic Hemp rope but we can supply with longer lengths if required. 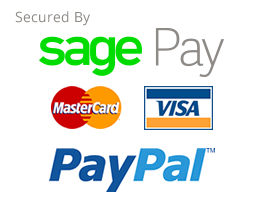 Each Oak Swing can be engraved with upto 30 characters of your choice.